In such a booming digital world, with everyone and everything now happening online, it’s now more crucial than ever to have powerful branding that can be easily shared and easily recognised. If someone doesn’t like your business, (or even if they just forget about it) they can replace you with a digital service nine times out of ten. At Positive Branding we’ve spent the last 30 years in conversation with other branding experts to help our clients create the best image for their company. While we specialise in traditional marketing, we never turn down good advice when we see it. Digital marketing is all about cutting through the noise. 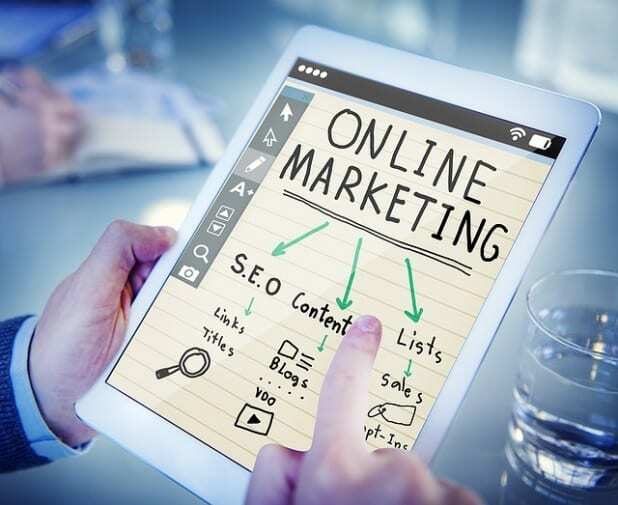 Being seen online gets trickier every time a new site is born, and online marketing experts have to stay one step ahead of that curve. We’ve put together our favourite marketing tips that so that from today on, you’re only putting your best foot forward! More than the logos, taglines, and colours, great branding is about the bond you form with your customers. Online, the noise level is insane. There are so many people and companies that are trying to stand out by publishing and sharing content. 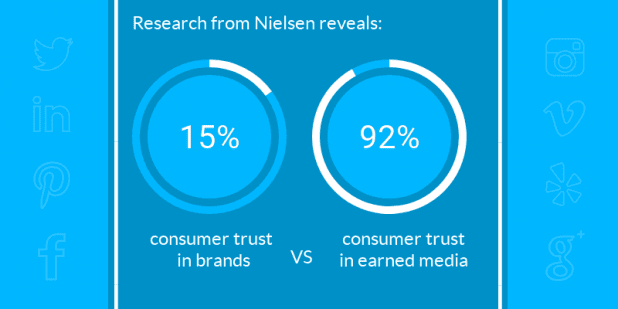 Research from Nielsen says while only 15% of individuals trust what a brand says, 92% of consumers around the world say they trust earned media, such as word-of-mouth and recommendations from friends and family, above all other forms of advertising. The days of creating a formal, uniform corporate face are gone and the benefits of seeming relatable and human are huge! Creating connections with people is so important, so it’s essential to not come off as false. Your brand communication strategy should be determined not so much by what sells, but by who will be doing it. The crucial thing is to pick a communication strategy that works for you, for your personality. The key is to leverage your strengths and not try to do things that go against the grain. In every customer interaction you are a representative for you business- but you’re also yourself! So, if you don’t really like public speaking; focus on one to one interactions. If you love interviews and free-flowing conversation, look at trade expos, podcasting, local radio- then focus your energy on getting booked on those. Once you’ve found a strategy you feel confident and comfortable using, then learn how to network in your industry and start connecting not just with your customers, but with others in your field. You’ve found the communication strategy that suits you and your brand, you’ve found the people you should be talking to- now what do you say? Step 2. State what you do. Step 3. Outline how or why you got involved with what you do. Step 4. Communicate your interests so people can relate to you. Step 5. Provide a method and motive for people to contact you. In marketing, perception is reality. So, how others view your professional brand ‘is’ what your brand stands for, whether you like it or not. You must be crystal clear in the definition of your brand, and then communicate that definition in every single activity you do. “Ensure you clearly think through what they need and want before you design or write anything. Build your ideal client personas and create a real person to whom you are speaking so you can accurately cite benefits that matter to them. Too many businesses design pretty websites or use jargon-filled language that do not resonate at all with what their target market really needs. 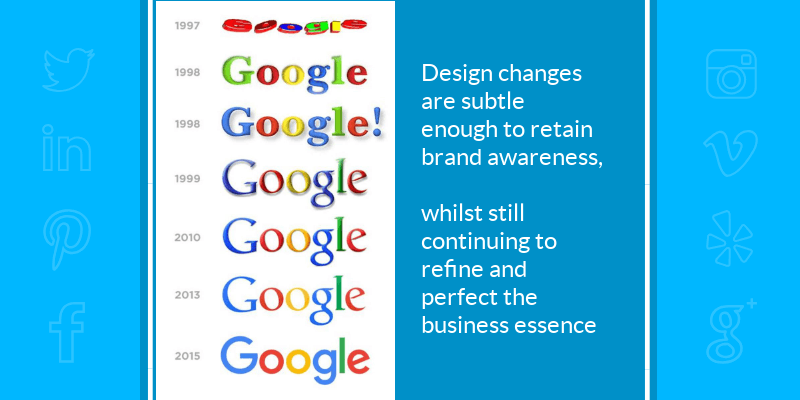 Everyone knows that you should have a strong logo, but knowing what that is, is an entirely different ballpark. 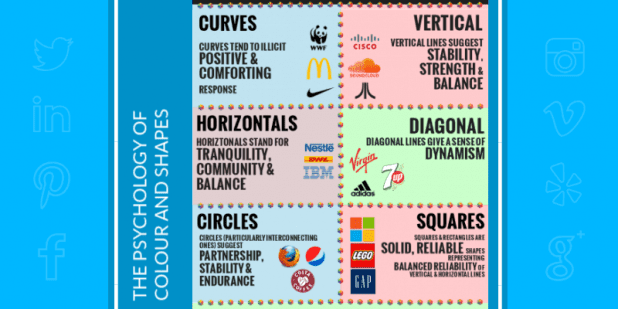 It’s worth taking your time to really look into the meaning behind each design element, as there’s a lot of psychological association behind colour and shape choices. Spend time making your logo and allow it to evolve over time as you discover the essence of your business. Many new entrepreneurs rush to quickly get their logo designed first, thinking it’s needed before they can start getting clients. However, a logo is meant to represent the essence of your business, so time needs to be spent on conducting proper due diligence and analysis first. 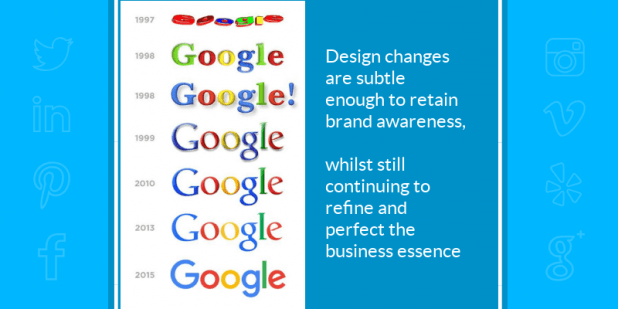 Think how many times industry giants like google have changed their logo? The digital world changes constantly, and we shouldn’t be afraid to try this offline either. Spending time developing and reviewing your logo will produce a brand look and feel that will not only accurately represent you and your essence, but will also resonate with your ideal target market, making it much easier to attract them to your business offerings. Working with a professional brand developer will help with this analysis, giving you the guidance needed throughout this process. In today’s hyper-networked marketplace, we’re just two degrees of separation from our customers and the people who can hire us. Our job, then, is to unleash the power of referrals by enlisting everyone we already know into our army of personal brand champions. Ironically, in the world of business, what may seem safe (being like everyone else) is often risky (you won’t stand out). When competing with others for a job or promotion at work or selling your services or products as an entrepreneur, it pays to be different. Sticking out from the herd may feel wildly uncomfortable at first, but sticking out in a good way gives people a reason to choose you. To find your USP: what strengths, skills, and aptitudes make you different and even better than others? Be crystal clear about the value you deliver, and to whom. Then practice consistent messaging across the board. Utilising brand communication strategies offline and on makes it into a habit, rather than just a marketing strategy you adopt. Practice consistent messaging across all your points, online and off; from your offline elevator pitch and business card to your email signature and every social platform upon which you engage. More important than being clever, is to be consistent and be clear. When you showcase your character, your competence, and your charisma online or off, you intensify the magnetism of your business brand too. Find a parallel industry and compare yourself to the same level brand in that industry – then find out what they do best. What market strategies are they using that are the most effective? In what places are they failing. Competitor analysis is important, but when thinking of your branding, staying unique is crucial. As humans we’re hardwired to replicate and repeat things. If you spend too much time looking at your competitors branding strategies, you’re at risk of just echoing them yourself. Lao Tzu said ‘Knowing others is wisdom, knowing yourself is Enlightenment.’ This is nowhere more true than in marketing. Knowing your market can only get you so far, true success comes from knowing what you contribute to it. We hope that you’ve enjoyed reading through this list, and that our experience in this field have given you some food for thought. What great tips have you learned from digital marketing? How have you incorporated them into your brand campaign? Jonathan Wilton is Managing Director of Positive Branding. The business provides printed and embroidered clothing to businesses and organisations. Each quote is “tailored” to the clients individual needs. Follow Positive Branding on Facebook and on Twitter.